Rewire spoke with reproductive health-care professionals, including abortion providers, about their concerns regarding the vague language in the bill and how it could affect access to reproductive health care in the state. The broad scope and vague language of a South Dakota bill that would restrict abortion services in the state by targeting a procedure used in surgical abortions could, according to reproductive health-care experts, effectively ban abortions past seven weeks’ gestation in the state. The bill could have broad constitutional implications as well. Introduced last week, HB 1241 would make it illegal to perform an abortion if a “living” fetus is “dismembered” during an abortion, an apparent reference to dilation and evacuation (D and E) procedures. This is despite the fact that no D and E procedures are performed in South Dakota. Planned Parenthood Sioux Falls, the only clinic that provides abortions in South Dakota, provides medication abortions up to nine weeks and surgical abortions up to 13 weeks. However, the clinic does not provide surgical abortions in which a D and E is required. The clinic told Rewire that all patients who need D and E services are referred to clinics in other states. Technically, hospitals can perform such procedures in the state, but none of the hospitals in the state do. A violation of the proposed law could carry a prison sentence of up to 25 years under one provision, and a maximum life sentence under a second provision. The bill, sponsored by state Rep. Isaac Latterell (R-Tea), has been referred to the House Health and Human Services Committee and is scheduled for a hearing on Thursday. The embryonic stage of pregnancy lasts from the second week to the tenth week; the fetal stage developmentally begins at eleventh week. During the procedure used to remove a fetus prior to 13 weeks’ gestation, commonly referred to as suction aspiration, the fetus is often not removed fully intact. According to the physician, depending on how the bill’s language is interpreted, it could ban that procedure or prevent abortion providers from performing the procedure out of fear of prosecution. The bill “puts a physician or a clinic in a position where they have to defend themselves from inflammatory language. It is meant to be inflammatory. It is meant to have a chilling effect,” she said. Anne Davis, consulting medical director for Physicians for Reproductive Health and an abortion provider herself, told Rewire that legislation like this is designed not to ban abortion outright, but to make it so difficult to access that abortion is effectively banned. “It doesn’t address any medical need for patients, and it doesn’t address any need in medicine,” she said. HB 1241 does not “use language to help providers understand what’s what,” she said. “That creates an environment of fear and confusion, and people are not going to risk being jailed,” so providers could instead stop providing abortions. What’s more, legislation that imposes criminal penalties on individuals for failing to comply, but does not clearly spell out how to comply with the law, raises significant constitutional concerns. 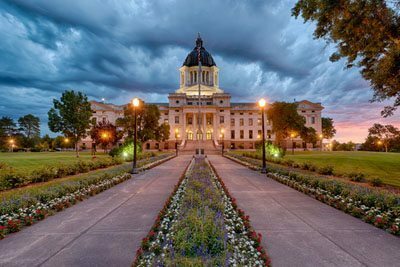 Lawmakers who write bills that are too vague violate due process protections; South Dakota’s proposed restriction appears to do just that. While there is some precedent for banning specific abortion procedures from the campaign against “partial-birth abortion” and the Supreme Court’s decision that upheld the federal ban against such procedures, the Supreme Court has said repeatedly that states cannot ban abortions outright prior to viability. If the effect of this law was to ban abortions as early as seven weeks, that would raise serious constitutional problems as well. So while a lot depends on the specific language of whatever law may ultimately be passed, it’s clear that anti-choice lawmakers are searching for legislative language that would have the effect of re-criminalizing abortion care, since the Supreme Court has forbidden states from re-criminalizing abortion directly.